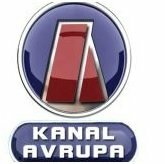 General TV Channel / Kanal Avrupa is a television channel, the pan-European 24-hour entertainment-oriented television program division in Turkish emits. Kanal Avrupa is a company of Akbas Media Company. The channel was founded in Duisburg at the beginning of 2005. The program consists of 70% Turkish music videos and 30% news, live broadcasts and documentaries. The broadcasting operation was recorded on 10 January 2005. The target group is the age group of the 17 to 47 year old Turkish-speaking Europeans. The transmitter transmits from an old car house in a Duisburg industrial area. In his documentaries and live broadcasts, migration topics such as youth unemployment and the language problems of many foreigners are taken up. With Seran Sargur, Kanal Avrupa currently has the youngest broadcasting director in Germany (as of May 2006).